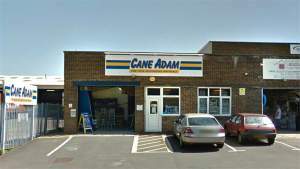 Cane Adam specialises in all sorts of paints, woodcare products, spray machines, tools and all sorts of decorating paraphernalia. We carry a surprising product range in stock, and if we don’t have what you need immediately to hand we can usually order into store within a day or so. We’ve been supplying Basingstoke painter decorators and guiding local DIYers with our expert product and problem-solving knowledge for more than 20 years now. You’ll find us not far from Basingstoke Ring Road; we’re on Daneshill Estate off Gresley Road and Swing Swang Lane. There’s no forgetting that street name. You can park right outside our loading bay to make it all the easier to load up the car or van with all the decorating products you need, no matter the size of job.